The Ibizan Hound temperament is typical of a hound breed: she loves to hunt, and the more exercise the better. A busy bee is what she likes to be. Give her plenty of activities and long walks, especially if they involve hunting, and she'll be one happy dog. Something interesting about the Ibiza is that she will engage her prey by barking at it as she chases it. You would think this makes her a bad hunter, but she's still skilled at it, despite giving away her position. The Ibizan Hound originated in Eivissa, a small island off the coast of Spain. In Spain and France, the Ibizan's original purpose was to hunt rabbits and other forms of small prey for her master. A farmer typically had one dog on his farm to help him catch rabbits for food. If he was richer than your average farmer, he might have two. In recent years, however, hunting rabbits has become more of a sport. People have seen packs of up to 15 dogs chasing after one rabbit. Six traits, in particular, define the Ibizan Hound temperament. Read on below to learn about these temperament traits. As with any sighthound, the Ibiza can be independent to the point of being stubborn. You can be calling her, and she'll just ignore you, in favor of chasing after something that caught her eye. She loves to get into trouble, but it's the kind of trouble that will make you laugh more than it will make you angry. You have to be very careful if/when you decide to unleash an Ibiza. Because of her athleticism and her prey drive, she will do whatever she feels like doing, and it may be hard to stop her. Depending on where you live and the areas you frequent, there may be no safe space to unleash her, aside from inside. She gets along very well with other people, animals, and children. Don't bring her around smaller animals, though, as her prey drive will kick in and she will give chase. Therefore, if you already have small pets, like cats or birds, the Ibiza is not well-suited for your home. Ibizans are intelligent when it comes to the hunt. There's no doubt about that. However, this can also extend to your food. She'll wait for the right moment, then swoop in and grab your food when you're not looking. The Ibiza is reminiscent of the princess who likes to go out and play in the mud. She loves to be pampered like royalty, but she loves hunting and playing outside just as much. Ibizan Hounds fall into that category of gentle dogs who you have to handle with kid gloves while training them. If you're too harsh, you'll cause her to retreat entirely, which helps no one. Because she's so independent, she's really not interested in pleasing her master. If she doesn't see an immediate benefit, then she doesn't see the point. Be consistent and offer her lots of praise and the occasional treat when she masters something. Try not to get too frustrated when she doesn't learn something right away or doesn't listen. Your gentle persistence will pay off in the long run. The Ibizan Hound's coat can either be wiry or smooth. For the Ibizan Hound black, red, and white are all normal coat colors. Neither coat is pleasant to pet, as it's hard to the touch, though both require little maintenance. You should brush her weekly, but you can brush her more often to prevent her from shedding all over the house. Follow these tips to get the best grooming results. The Ibizan Hound temperament makes her one excited girl when it comes to exercise. She is a very athletic dog. Before you even think of taking her off her leash, make sure you have a tall secure fence to enclose her. And boy, can she jump! Ibizas are able to jump five to six feet high from a standing position. You also need to be sure, before taking her off her leash, that the fence is secure. That's because she has a strong prey drive and will take off after a scent if she catches a whiff of something interesting. If you love to walk, this is the dog for you. She's happiest when she gets multiple long walks every day. A healthy Ibizan's lifespan is between 10 and 12 years. But as with any breed, there are certain health issues that the Ibizan is particularly affected by. However, compared to other breeds, the concerns affecting the Ibizan are relatively minor. Something important to keep in mind is that should an Ibizian need surgery, she cannot handle barbiturate anesthesia. Any vet worth his or her salt should know this, but if this is offered, ask for an alternative. Go here to learn the basics of Dog Health. It will save you time and money in the long run if you can spot symptoms before they become a problem. 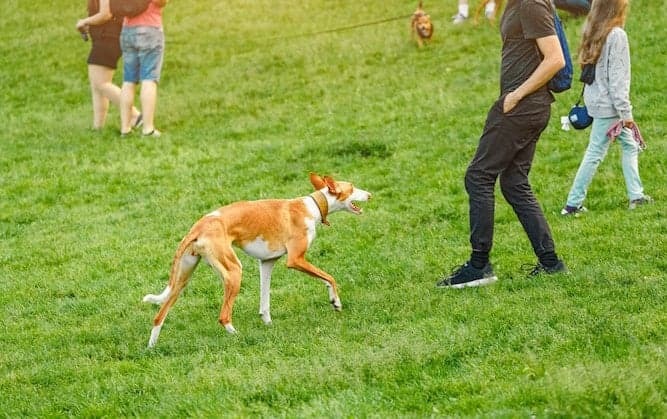 After reading about this breed, you may want to make an Ibizan Hound a part of your family. There are two options: you can either purchase a dog from a breeder or adopt one from an adoption or rescue organization. Those who go through breeders are typically looking for a puppy, while older dogs are more often available for adoption. The average Ibizan Hound price is around $800. Breeders will charge more if the dog comes from a top-quality bloodline. Puppies also cost more than older dogs – think of it like buying a new car. Some Ibizan Hound puppies can cost as much as $1,200. You can find an Ibizan Hound for sale either through a breeder or an adoption or rescue agency. If you would like to adopt an Ibizan Hound, you can check in with your local rescue organizations and adoption centers. They should be able to tell you if they have one available to take home. Chances are, they won't have a purebred available. The money people pay for a purebred, they're less likely to give them up. 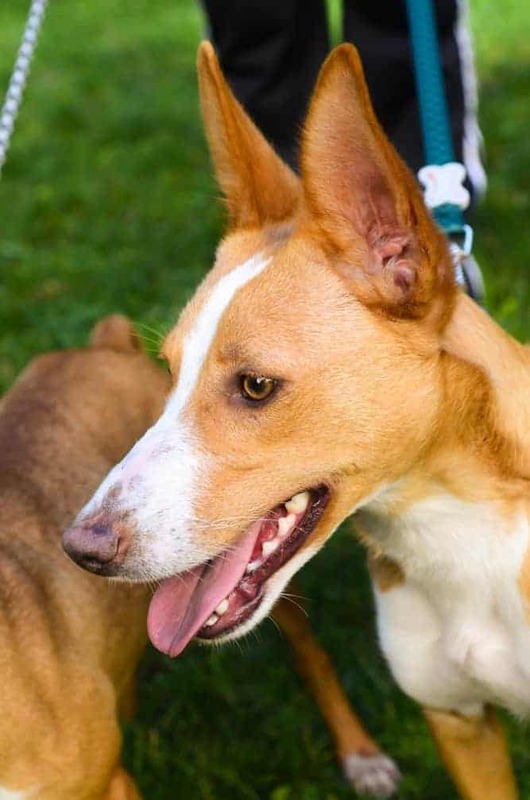 So, if you're okay with bringing home an Ibizan Hound mix, then you may be able to find a dog quicker. People are less likely to pay full price for an Ibizan Hound/mix. Therefore, you may be able to find one faster than if you waited around for a purebred. When looking for an Ibizan Hound breeder, you have to be careful that you go with someone reputable. A good resource to use is always the official page for the breed. In this case, you would go through the website for the Ibizan Hound Club of the United States. This is always a good idea because clubs are putting their own reputations on the line by recommending a breeder. It is, therefore, less likely they will recommend someone untrustworthy. 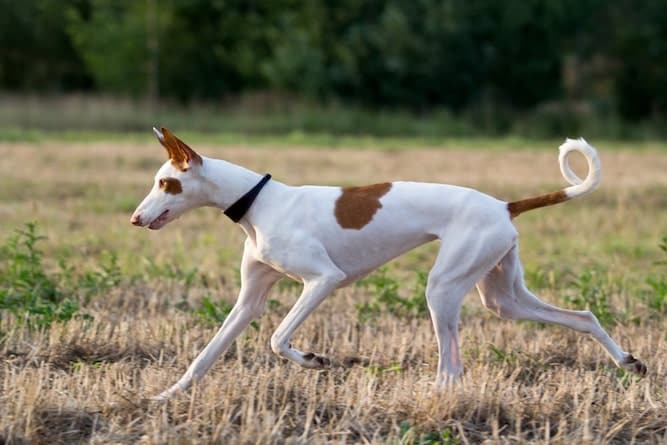 The Ibizan Hound breed is the perfect breed for someone who loves to hunt or who is very active. She can be crazy at times in that she enjoys sticking her nose where it doesn't belong and being mischievous. She can leap as tall as a full-grown man from a standing position, and she barks while she chases prey. You'd think this would make her a terrible hunter, but it impressively does not. An Ibizan Hound price tag varies, depending on where you purchase one. If you go through a shelter or rescue organization, you are more likely to find an Ibiza mix, rather than a purebred. If you’re interested in purchasing an Ibizan Hound puppy, be sure to do your research first. Choose the option that is more affordable to you, and make sure that whoever you go through is appropriately licensed and registered.